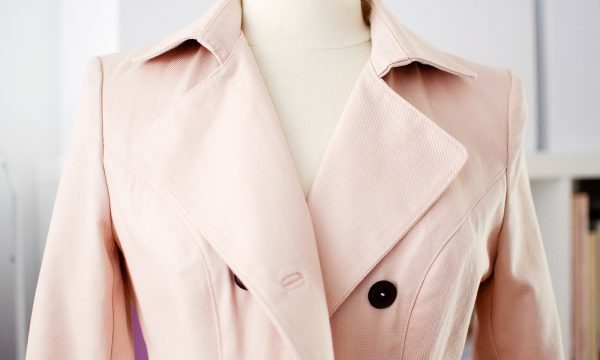 Intrigued by our new collection? Let’s take a look at the details of the Sirocco jumpsuit! 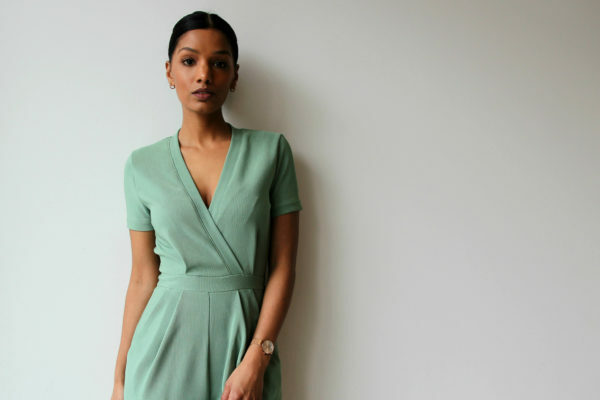 Sirocco is the very first jumpsuit from Deer&Doe! For this pattern, we wanted something light, soft, and comfortable, so we went straight for knit fabric. However, we also wanted to create an elegant jumpsuit, that could be worn by day or by night, so we added some structured details to balance out the relaxed feel of knits. Sirocco is the crowd favorite in our spring-summer 2019 collection. Comfortable and elegant, our colleagues from the Espace Eclair all asked to try it on… and they didn’t want to give it back! Sirocco is a knit pattern designed for stable knits with at least 60% stretch (ERRATUM: not 30 to 40% as mentioned previously! ), which makes it incredibly comfortable. At the office, on a plane, at parties, we put it to the test in every situation, and it always passed with flying colors! The association of the knit fabric with the mock-wrap bodice allows you to easily put it on or take it off through the neckline: no zipper or annoying buttons to undo 😉 . To balance out the relaxed feel of the knit fabric, we added many office-ready details: legs are tapered, bodice and pants are structured by deep pleats, set-in sleeves create strong shoulders, and a wide band frames the neckline. Slash pockets, reinforced by clear elastic, bring sophistication and practicality to Sirocco. We polished Sirocco‘s proportions to create a particularly flattering garment: the pleats in the pants mask the stomach, the high waistband marks the waist, and the strong shoulders balance the silhouette. This is the perfect garment to slip on when you don’t know what to wear to instantly feel cool and chic! With an experience level of 3/5, Sirocco is very accessible. It’s the perfect pattern to improve your knit fabric skills after making a (free) Plantain tee! 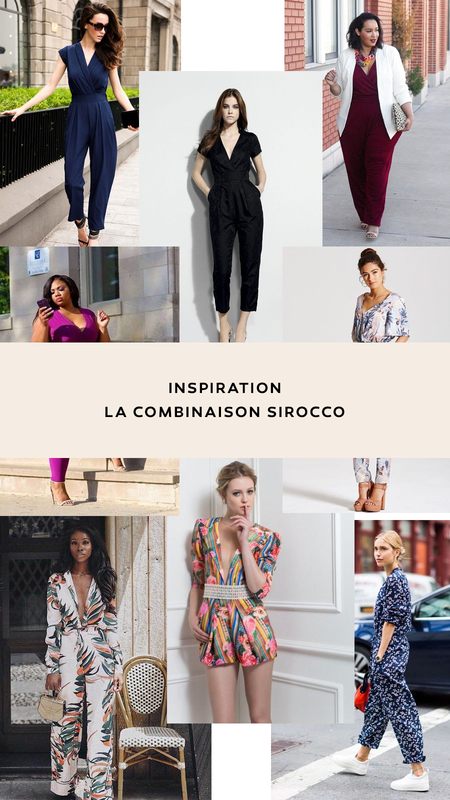 Get the Sirocco jumpsuit in our online shop in paper (sizes 34 to 46) format, or in PDF format up to size 52! More on the recommended fabrics for this pattern in a few days. I have ordered the pattern and am excited to sew such a lovely design. However I am having a problem locating a fabric with 60% stretch! Please advise.